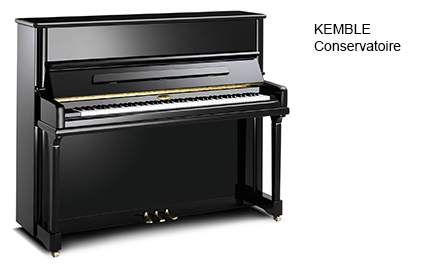 One of the most popular models of the Kemble range, this smaller piano has a firm responsive action and rich tone which belies its size. 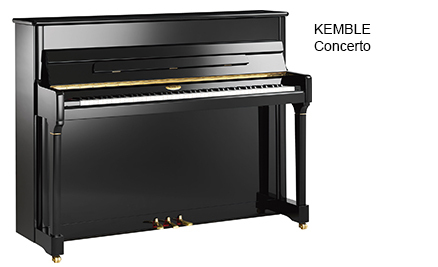 This piano is perfect for serious players with space concerns. 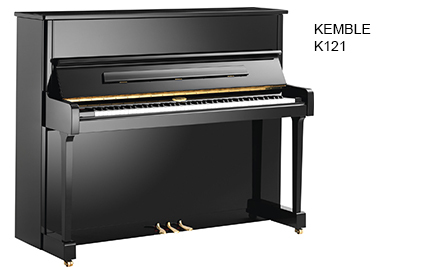 Voted 'Best Buy' by European consumer association Conseur, the K121 delivers a rich and resonant sonority but with great clarity of tone. This magnificent piano has won not only the 'Diapason d'Or' by the French magazine of the same name, but also the coverted MIA/Classic FM award. This model has an exceptionally pure and warm bass. 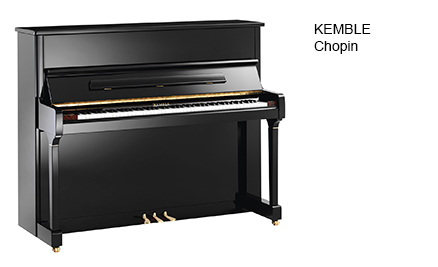 This is do to not only using a grand piano grade soundboard but also hand spun Bosendorfer made strings.